Are you looking for one of the best professional painters in Marietta? At Kimberly Painting, we are here to help you with all of your painting needs. 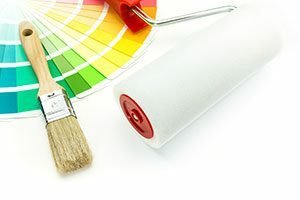 But what exactly makes us unique and why should you call us when you need a professional painter in Marietta? Here are a few reasons we stand out from the crowd. 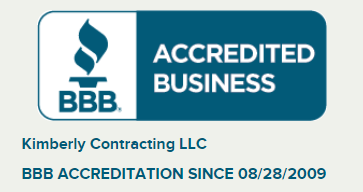 While Better Business Bureau ratings aren’t the single most important factor in finding a quality painting company, their ratings do carry significant weight. When you are looking for a service company, like us, it’s much harder to find a company you will be satisfied with than if you are looking for a retail outlet, restaurant, or other stores. With our A+ rating, we can proudly say we make sure all of our customers are satisfied with the work we do, and you will be too. At Kimberly Painting, our team is ready and able to provide you with the best service possible. Instead of sending out random painters when you call, every customer is assigned a project manager who will oversee your project and make a final inspection once the work has been completed. This level of detail ensures professional quality every step of the way. While you might think that painting doesn’t require great skill, in order to provide high-quality results, expert painters really are needed. Our team of painters is comprised of Marietta’s best professional painters. We really do believe you won’t find higher-quality service anywhere else. For top-level service, you would expect to pay top-level prices. But at Kimberly Painting, we make certain our services are reasonably priced and affordable for anyone. At Kimberly Painting, we do both interior and exterior painting projects. If you need help painting your home’s exterior, we will also replace any damaged siding, window trim, or rotted wood where we will be painting. Previous PostWhat Can a Paint Contractor Do for You? Next PostHow Did They Paint the Biggest Buildings in the World?